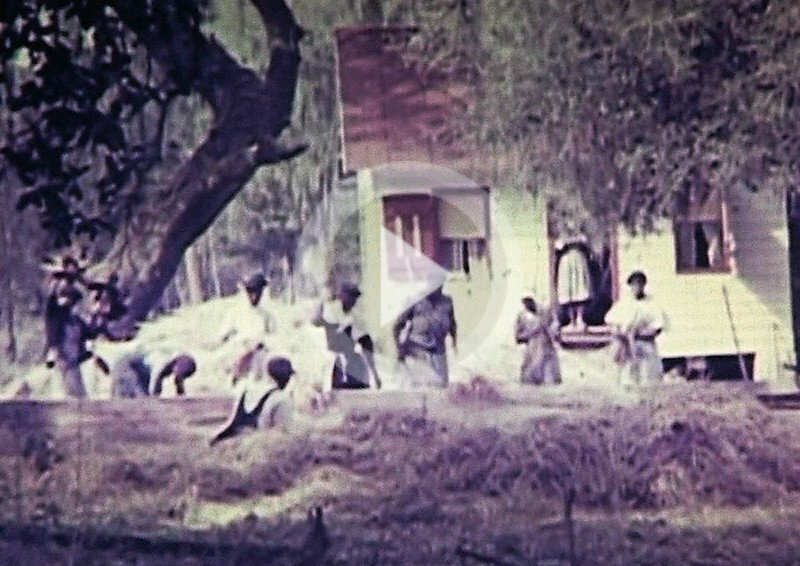 I ran across this informative article that introduces us to new, mysterious full-color video of African-American men and women reaping rice with sickles in the Lowcountry. Watch the video and read the full article by reporter Hanna Raskin in The Post and Courier. Historians have described the commercial rice industry ending in the 1890’s as a result of a series of devastating hurricanes. After the Civil War, freed Blacks’ refusal to do “muck work” made repairing the hydraulic irrigation system on which the industry depended (and which was little used during the last years of the war) difficult if not impossible. New evidence, including this video from Colleton County, should cause us to rethink this position. Commercial rice production may well have continued into the second half of the 20th century and with a free Black labor force. There are many examples of free Black families throughout the Lowcountry growing rice in their farms for consumption into the mid-20th century as well.